If you may need surgery, be prepared for blood and imagining tests to be done before and after your procedure. Tests are done prior to your procedure for numerous reasons: to determine if you truly need surgery, to make sure you are healthy enough to tolerate surgery and to see if there are any unforeseen problems that may be present. Blood work before surgery also gives you time to optimize your health, for example, if your blood tests show that your blood clots too slowly, medication can be given or dosages changed to make sure your blood clots appropriately during surgery. Imagining studies, such as x-rays or CT scans, may also be done to determine the nature and extent of the problem. These tests are done so that your surgeon can determine the procedure that is best for your particular problem. After surgery, tests are often repeated to make sure there are no complications or to determine if intervention is necessary. For example, a complete blood count might be done to determine if a blood transfusion is necessary or if there may be bleeding internally. Some blood loss is expected during surgery, but continuing blood loss is typically not normal and may require intervention. Coagulation Studies: These tests are done to determine how well (how fast) your blood clots. Clotting too slowly can mean increased bleeding, clotting too quickly can increase the risk of blood clots after surgery. Blood Chemistry: The complete blood chemistry looks at several different areas of your general health, including your blood glucose (sugar) level, your kidney function, and the levels of sodium, potassium, and chloride in your bloodstream. These levels can be used to optimize your health in the weeks before surgery or during your recovery. Procalcitonin: This test is primarily used to determine if a systemic infection, called sepsis, is present. Complete Blood Count: The complete blood count looks at the different components of blood, such as white and red blood cells, and determines if they are present in appropriate numbers. This test can determine if certain problems, such as anemia, are present. Liver Enzymes: Liver enzymes are used to determine how well the liver is working, if it is able to perform its role removing medications from the body, and may indicate if the liver has been damaged. Cardiac Enzymes: Cardiac enzymes are tests that are done to determine the current health of the muscles that make up the heart. These tests are often done to determine if a heart attack is in progress and can also help determine if chest pain is being caused by a heart attack. Arterial Blood Gas: An arterial blood gas is most commonly performed when a patient is intubated and on a ventilator. This test can determine if the ventilator settings are appropriate for the patient and how well the patient is using oxygen. Imaging tests are tests used to visualize the inside of the human body without performing surgery. While a few of these tests may require an injection of IV contrast, many are non-invasive, meaning they are done from afar. CT: A CT scan is a common, non-invasive test that produces a 3-D image of the area scanned. It is used to diagnose conditions and results may be used to determine the best treatment. MRI: An MRI is another type of non-invasive test that is used to create a 3-D image of the area scanned. It can be used to determine a diagnosis and a plan of treatment. The MRI requires the patient to lay on a bed which then moves into the tube-like machine. For large patients or claustrophobic people, an open MRI is often available in larger cities. X-ray: An x-ray is a single image of the body that is taken using a small amount of radiation. Chest x-rays can look at bones, organs, and tissue and are both quick and non-invasive. Ultrasound: Most people are familiar with ultrasound from pregnancy scans for fetal health and development. Ultrasound can also be used for a wide variety of reasons, from looking for a DVT in the leg to examining breast tissue. Endoscopy: Endoscopy is the general name for a procedure in which an instrument with a light and a camera is used to look at the inside of the body. An upper endoscopy, for example, is when the instrument is inserted into the mouth and through the GI tract. These procedures allow the physician to visualize the inside of organs without surgery. PET Scan: A PET scan is a test that uses a radionuclide tracer to provide images of the inside of the body. The test is non-invasive but does require the insertion of an IV to administer the radionuclide. In some cases, the PET scan is done alongside a CT scan for the best possible images. The sheer number of lab and imaging tests that can be done during a hospital stay can be intimidating. Understanding what each and every result means may feel like a nearly impossible task. 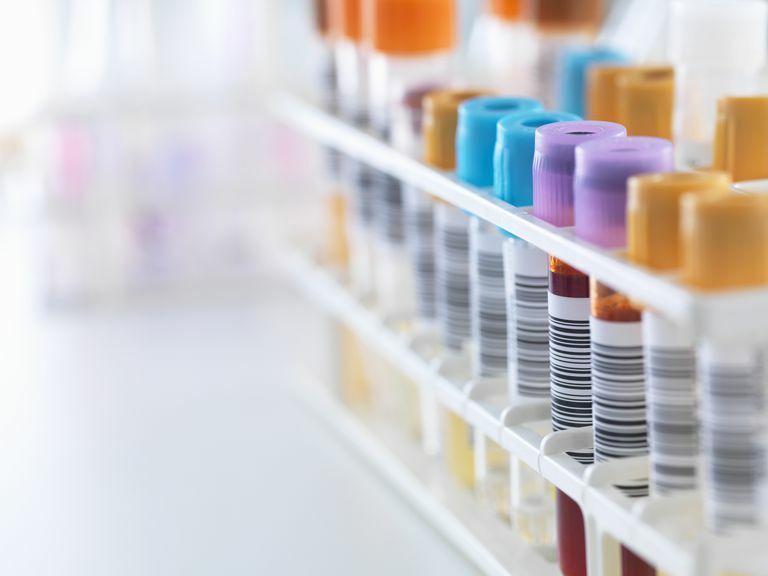 The good news is that your healthcare provider is responsible for understanding the nuances of all of the lab and testing results and determining the best way to respond to that information. Be sure to discuss tests results with your provider, but don't feel like you have to understand each and every result to be well informed about your health.